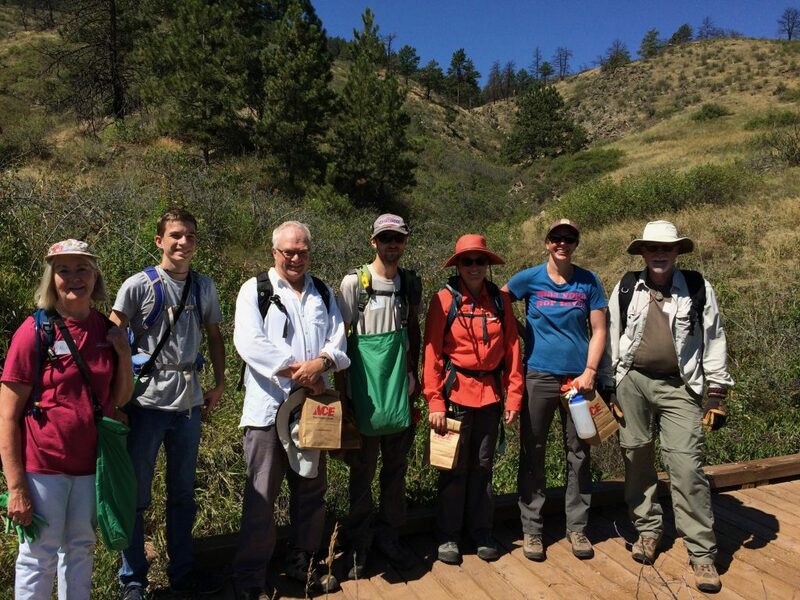 Our seed collection mission was at Lory State Park just outside Fort Collins. 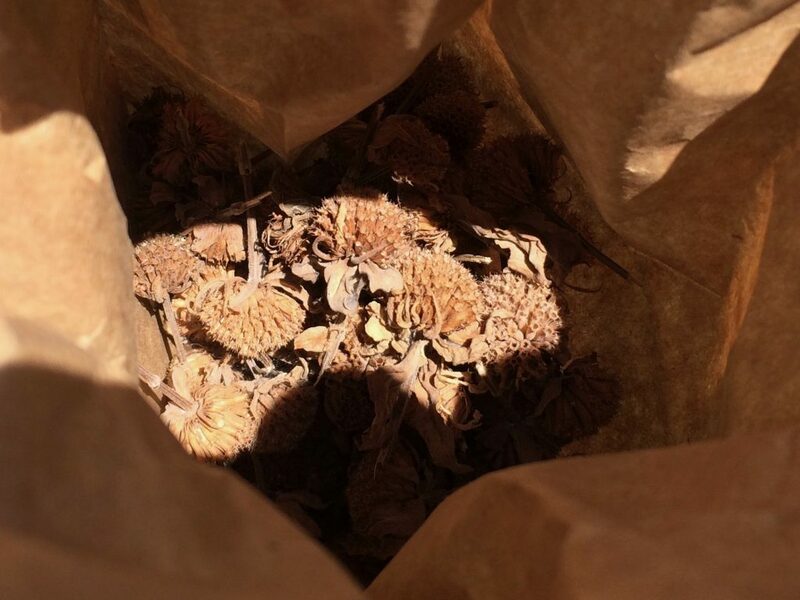 We were on the hunt for native beebalm and sumac berries. 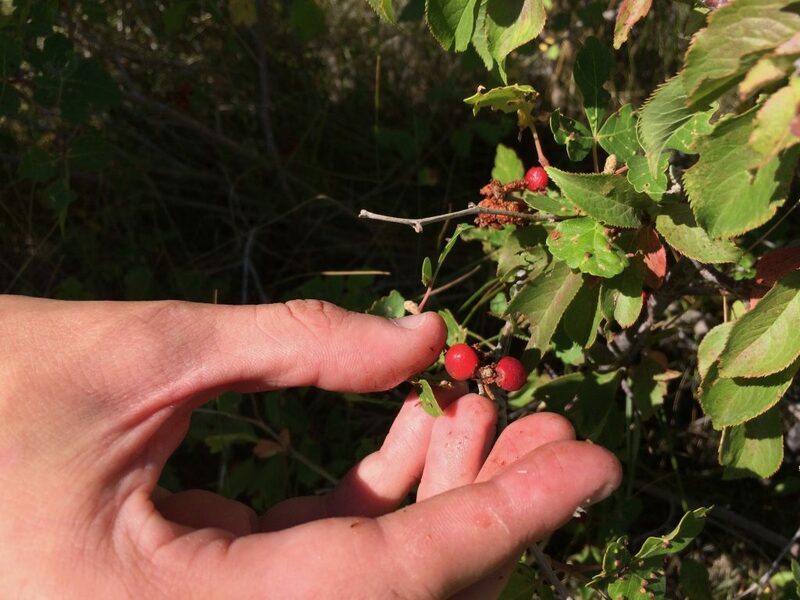 The seeds would be used later by the City of Longmont as part of an ongoing effort to reestablish native species. Seed collection was easy once you learned to identify the plants; snap off the seed pods and put them in a satchel. The seeds will dry and then, over the winter, another group of volunteers will separate the seeds from the remaining plant material. Wildlands Restoration Volunteers has tons of opportunities to connect with public land and take direct action to restore and care for these places. Plus they had homemade cookies! 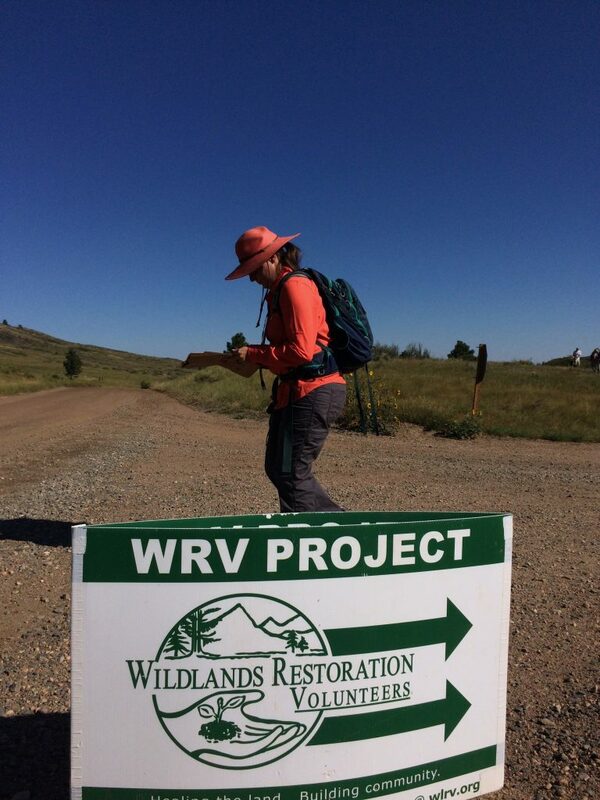 If you’re in Colorado with some extra time, WLRV most certainly will make it easy for you to get outside, get dirty and do some good on public lands. 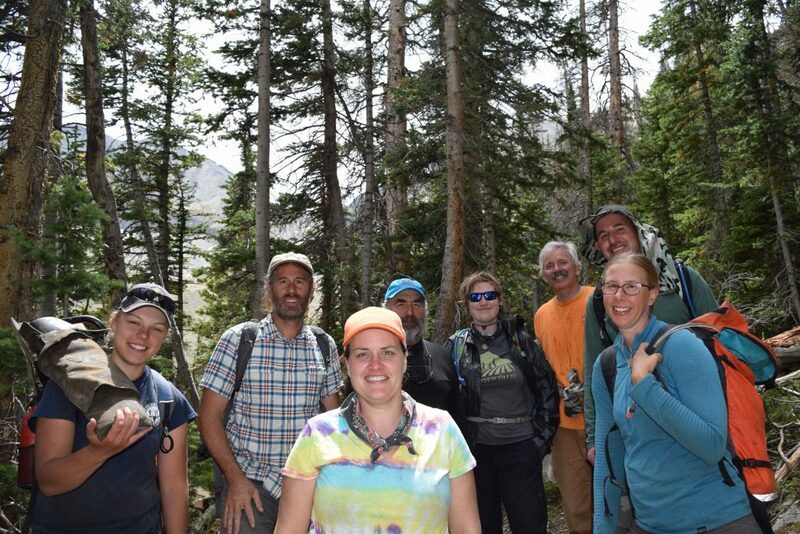 After collecting native seeds we left the front range for the mountains to do trail work with Volunteers for Outdoor Colorado (VOC) at State Forest State Park. State Forest is the largest State Park in Colorado and, as with most places in Colorado, it was a beautiful place to spend a couple days. 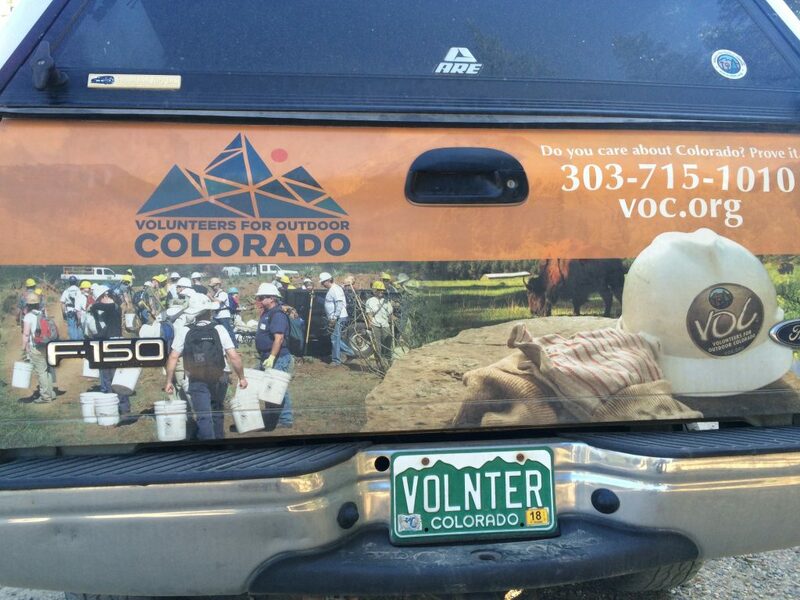 Since 1984, VOC has been providing opportunities for people to become active stewards of the outdoors. They have opportunities for all ages and all physical abilities, and a plethora of volunteer trips to choose from. Plus, they have beer, which at the end of a long day of trail building is a very welcome and satisfying treat. 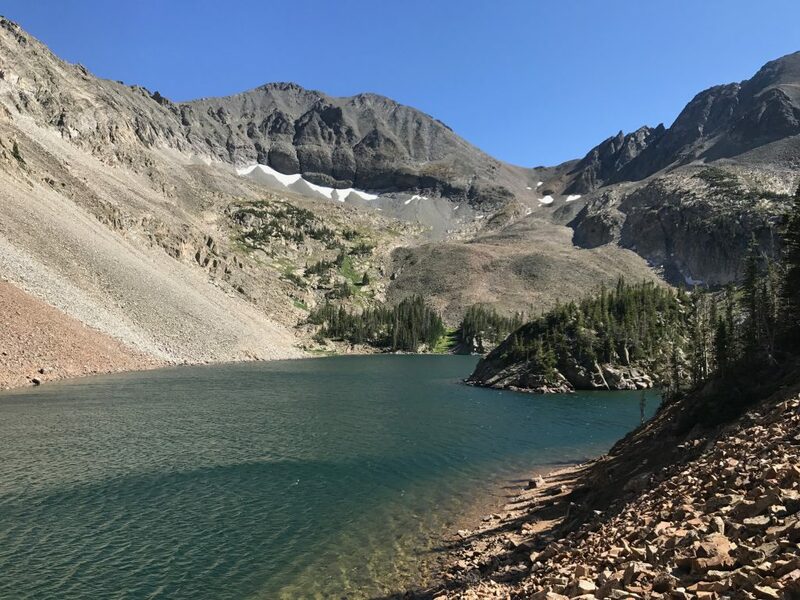 Our volunteer trip was to Lake Agnes, a spectacular high-altitude (at 10,320 feet) lake that sees hundreds of visitors each week. 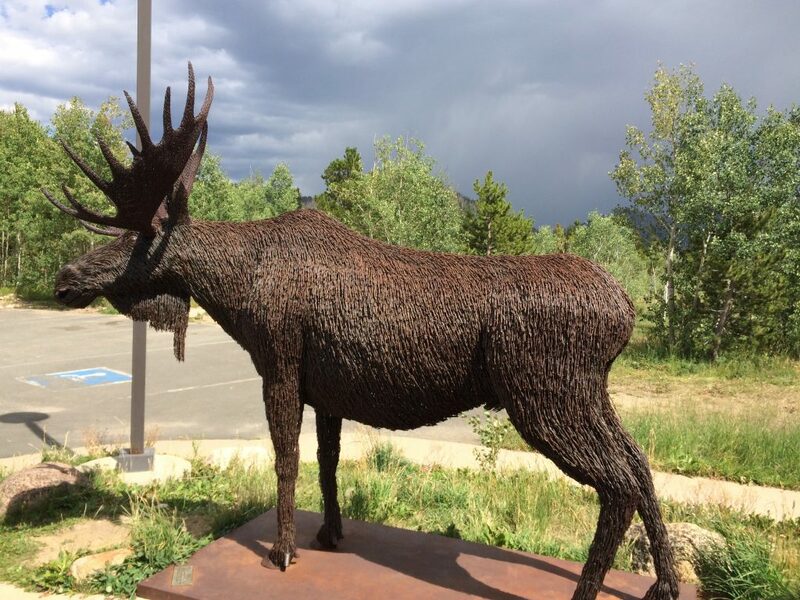 We didn’t see any moose while we were working, but it is said State Forest State Park has the best moose-viewing in Colorado. 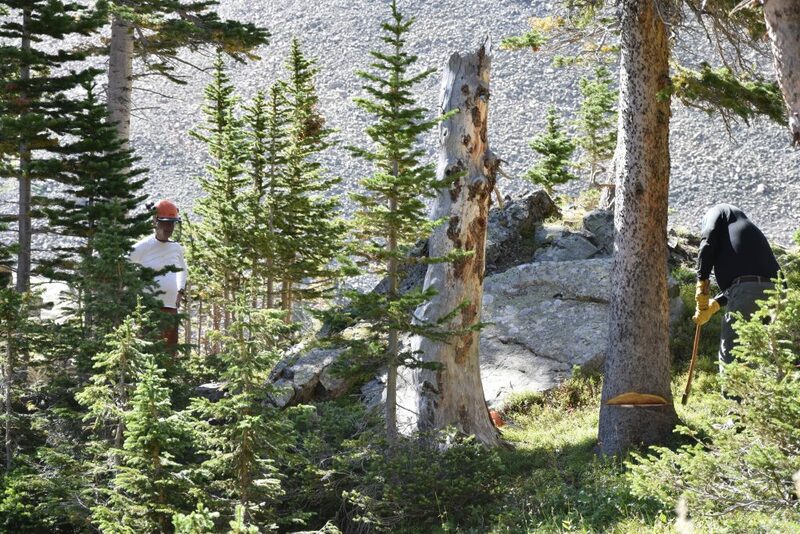 VOC helped build the original trail to Lake Agnes two decades earlier. We were there to improve the section that runs around the lake itself. 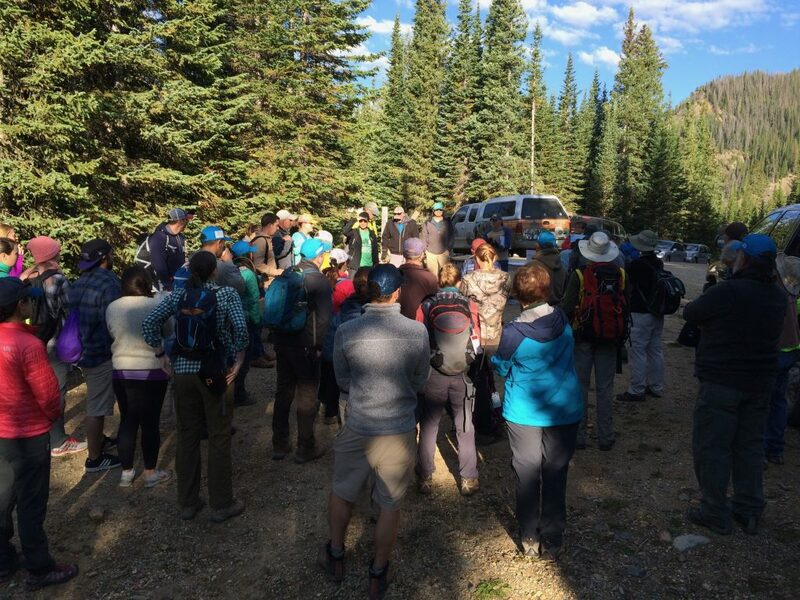 There were at least 30 volunteers plus VOC and U.S. Forest Service staff. The first morning we were split into groups and assigned various parts of the trail to improve. 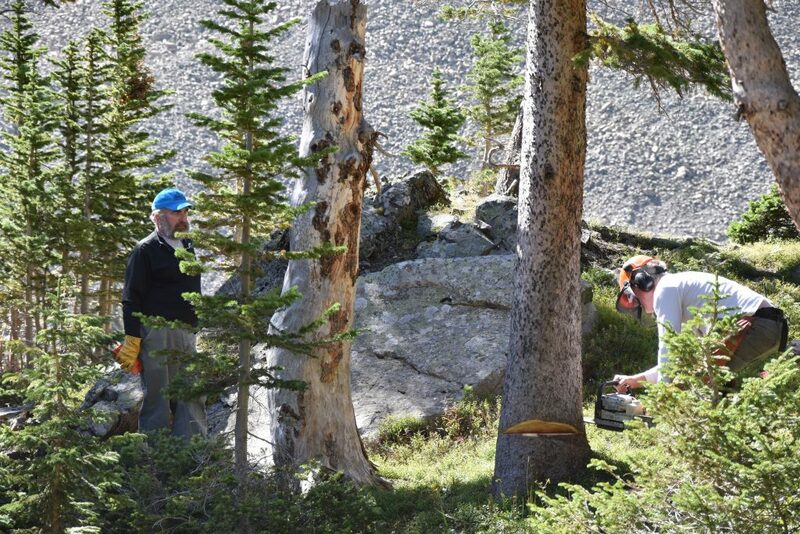 Our group was tasked with building two new bridges and rerouting the trail from a sensitive drainage area to dry ground. 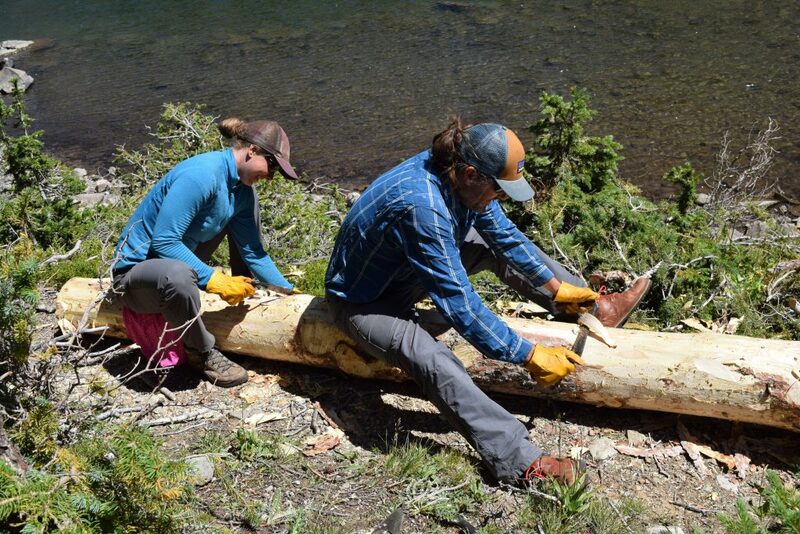 To build the bridge we used trees felled by the forest service and debarked them with draws. We also moved buckets and buckets of rock to fill in wet areas. Other groups built large stone steps and rock walls. Of course, there was cutting back brush and Pulaski work. It was tiring but 100% rewarding. Our fellow volunteers were a terrific and lively bunch, and Sam won a State Park hat in the pre-dinner raffle. We were excited that we found VOC and I wish we lived in Colorado so we could do more projects with them! 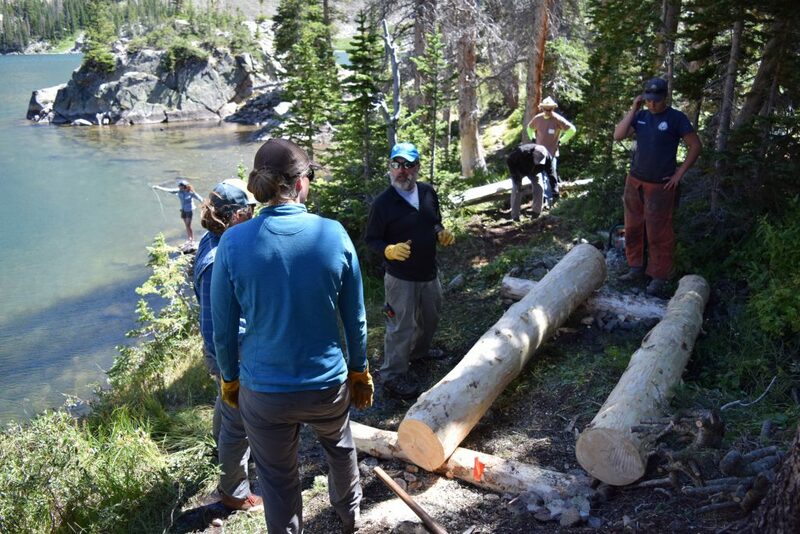 They facilitate the magic mix of hard work, community and fun that allows them to make a big impact helping Colorado’s wild places. 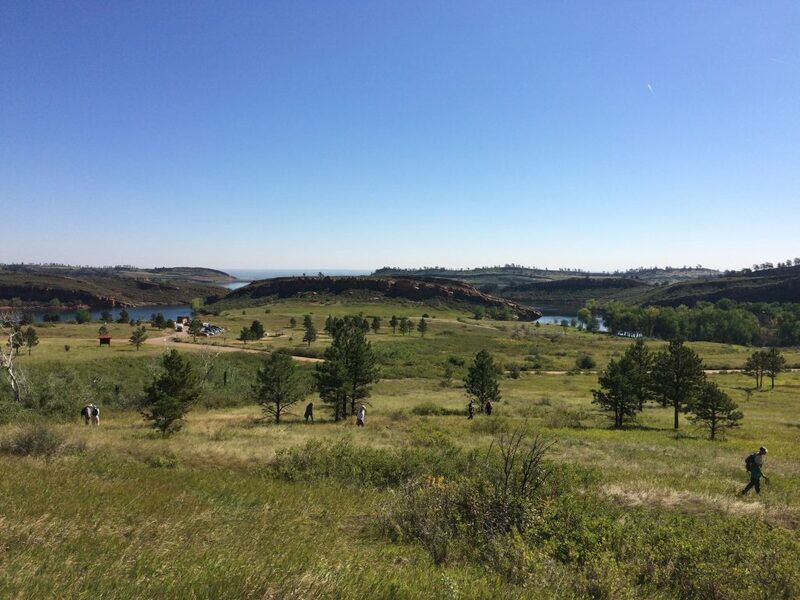 Thanks VOC for the great weekend and opportunity to help one of Colorado’s special places!